In December 2007, the United Nations (UN) General Assembly designated April 2 as World Autism Awareness Day. First observed in 2008, it is one of only a couple condition-specific UN days. Its purpose is to bring international attention to this complex developmental disorder that affects as many as 1 in 68 children born today, according to estimates from the Centers for Disease Control and Prevention (CDC). 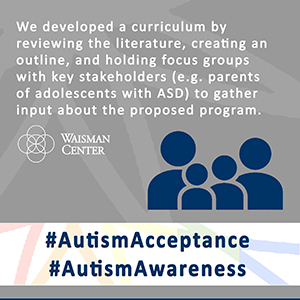 Research has the potential to drive meaningful changes for autistic individuals and their families. AUCD network members in every state and territory are playing significant roles in the production and dissemination of research, and translating research-based information into practice and policy. Although AUCD supports many types research, we recognize that there are underfunded areas that need targeted attention, such as research on the services available, as well as addressing needs and supporting positive outcomes across the entire lifespan. In addition, we recognize the need for research moving forward that will impact under-served populations. 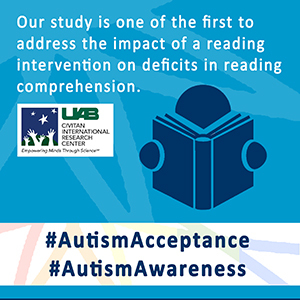 AUCD also supports the full inclusion of people with autism, their families, and those who serve and support them in all aspects of research, from planning and design to implementation and evaluation. What Can You Expect This Month? 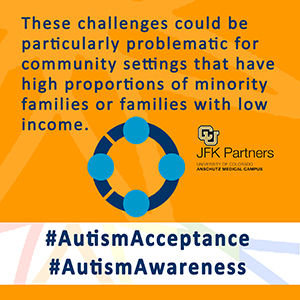 During the month of April, AUCD joins autistic individuals, their families, and those who serve and support them to increase public acceptance and appreciation - not only of their needs, but also the diverse range of abilities and talents autistic individuals possess. 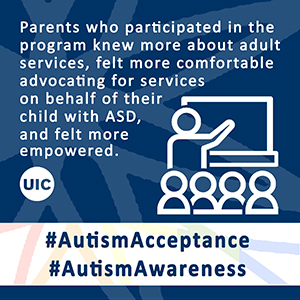 Make sure to follow AUCD on social media, stay tuned to your newsfeed, and use the #AutismAcceptance and #AutismAwareness hashtags all month long! For your convenience, we'll be archiving every April post on the AUCD website. Following is the complete listing of posts for April 2018. Click on an image to learn more. Screening for Autism with the SRS and SCQ: Variations across Demographic, Developmental and Behavioral Factors in Preschool Children.